CARFAX 1-Owner, L/ Certified. EPA 32 MPG Hwy/22 MPG City! 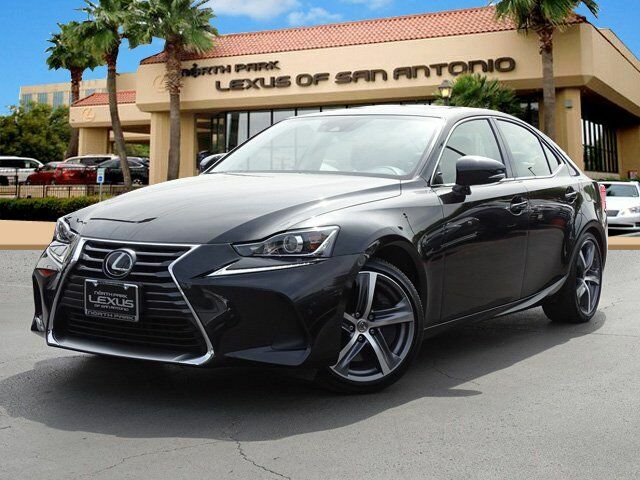 Moonroof, Heated Seats, Navigation, Turbo Charged, Keyless Start, Dual Zone A/C, Onboard Communications System, Back-Up Camera, NAVIGATION SYSTEM, COMFORT PACKAGE SEE MORE! Sunroof, Back-Up Camera, Turbocharged, Onboard Communications System, Keyless Start, Dual Zone A/C. Keyless Entry, Child Safety Locks, Steering Wheel Controls, Heated Mirrors, Electronic Stability Control. NAVIGATION SYSTEM Lexus Enform Destinations, destination assist and eDestination ( included, requires Lexus enform safety connect), Lexus Enform App Suite (Subscription Free), destination search, Yelp, iHeartRadio, Facebook Places, Movietickets.com, OpenTable, Pandora, slacker, stocks, fuel prices and sports, Lexus Insider, Radio: Lexus Display Audio w/Navigation System, AM/FM/in-dash CD, HD Radio (complimentary traffic and weather), 10.3" screen w/back button on remote touch interface controller, 10 speakers, 293-watts, digital signal processing w/Automatic Sound Levelizer (ASL), integrated SiriusXM satellite radio receiver (complimentary included), Scout GPS link, iTunes tagging, MP3/WMA and dual USB/iPod audio input plugs, rear, COMFORT PACKAGE Power Steering Column, 2 Position Memory, memory for driver and passenger seat, heated outer mirrors and steering column, Blind Spot Monitor w/Cross Traffic Alert, lane change assist, Rain-Sensing Windshield Wipers, WHEELS: 18" 5-SPOKE ALLOY Tires: 225/40R18 Front & 255/35R18 Rear All-Season, INTUITIVE PARK ASSIST clearance and back sonar, PREMIUM PACKAGE W/COMFORT PACKAGE Heated & Ventilated Front Bucket Seats, ACCESSORY PACKAGE Cargo Net, Carpet Trunk Mat, Key Gloves, Alloy Wheel Locks. 161-Point Inspection and Reconditioning, 24/7 - Roadside Assistance , Balance of new car warranty plus 2 years/unlimited miles, Towing, Lockout Service, Emergency Fuel Service, Trip-Interruption Services. Please see dealer for complete coverage details.